Hello October! I'm loving life today. I'm pretty sure you know by now that Autumn is by far my favourite season and so as you can imagine I'm so happy to see that October. With the changing colour of seasons comes a little blogging challenge #Blogtober18, throughout the month of October I will be publishing a new blog post everyday. I love setting myself. 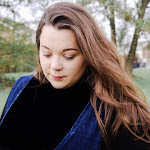 Over the last six months or so my blog has gone from strength to strength and I honestly couldn't be happier and it's so great to know that people are actually reading my musings, mumblings or ramblings. So what better way to keep inspired by taking part in #Blogtober18 and for today's challenge I want to share 51 blog post ideas for Autumn to encourage you to get blogging too. 3. Five Picks For Autumn. 4. How To Transition Your Wardrobe This Autumn. 5. Your Favourite Netflix Watches for Autumn. 8. Your Favourite Instagram Account To Follow This Autumn. 9. Five Favourite Autumnal Bakes. 10. How To Host The Perfect Halloween Party. 11. Favourite Autumnal Makeup Looks. 12. Things To Do With The Family This Autumn. 13. Ten Local Attractions That you Must See This Halloween. 14. Your Top Five Halloween Films. 15. Go Pumpkin Picking & Write About It. 16. Hosting The Perfect Autumnal Night In. 17. How To Decorate & Carve a Pumpkin. 18. Share Eight Autumnal Accessories You Couldn’t Live Without. 19. Ten Ways to Style a [skirts, jeans, leather, a white shirt, etc]. 20. Share Your Top 5 Apps You Couldn't Live Without As a Blogger? 21. Share a Autumn Beauty Haul. 22. Show Us How You Decorate for Autumn. 23. Eleven Books To Read This Autumn. 24. 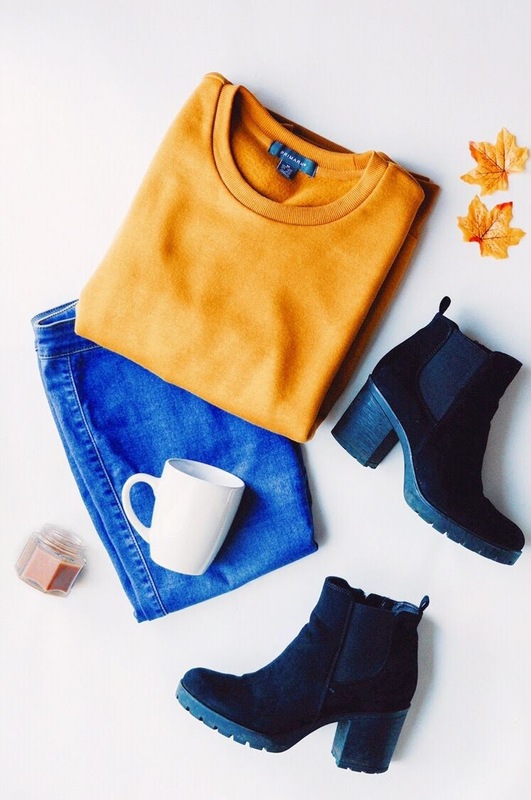 Best Budget Buys For Autumn. 25. Favorite Blogs To Follow. 26. How To Pamper Yourself After Work. 27. Best Autumn Decorating Tips On A Budget. 28. How To Stay Fashionable In The Rain. 30. 5 New Healthy Habits To Try This Autumn. 31. How To Celebrate Halloween As An Adult. 32. Tips For The Perfect Autumn Date. 33. How To Save Money On Pumpkin Spice Lattes. 34. How To Have A Budget-Friendly Halloween. 35. Best Autumn Crafts For Toddlers. 36. List 5 Skills To Master This Autumn. 37. How To Capture Leaves. 40. How To Increase Your Followers This Autumn. 42. Share Your Favourite Autumn Phone Wallpapers. 43. How To Get Your Home Ready For Halloween. 44. Favorite DIY Projects For October. 45. New DIY Trends To Try This Autumn. 46. New Workouts To Try During October. 47. What’s in Your Autumn Makeup Bag? 49. How To Host The Perfect Bonfire Night? 50. How To Wear A Pinafore Three Ways. 51. How To Take Brighter Photos In The Autumn. I really do hope that these blog post ideas have inspired you, or at least given you a couple of ideas to write your own list. Now if you like this please, then please share, tweet and pin to your hearts content. Plus I would totally appreciate the love. 10 comments on "51 Blog Post Ideas For Autumn"
Thanks for all of this October inspo! Love it! I love posts like these, I'm majorly lacking with my blog lately so will definitely use this list as inspiration! Ahh this is such a good post. I will defo be taking some inspo with these ideas for my autumn content! I love these types of posts. It's so helpful when you hit writers block. There are some lovely ideas and if I wasn't terrible at failing to blog every day I would definitely give it a go. Maybe next year? !